No doubt, barefoot is the natural way for humans. It is common knowledge that individuals learn to walk barefoot and even spend their childhood barefoot. Of course, nowadays we have become accustomed with walking, running and exercising with shoes but it is kind of liberating feeling to exercise and do physical activities without shoes. Once an individual gets used to it, they will naturally end up loving it, especially the feeling of being shoe-less and unconfined. Most importantly, walking and training barefoot is very simple, and you can easily make your health better using your feet and the implementing the whole body. However, there are various individuals who assume that wearing shoes is natural and our feet is not designed to support us in a proper manner and are very much fragile. This is a silly thought and something that most people should realize immediately. Among all the advanced species in the world, we humans are the one having the best usage of the feet and which does not need the support of shoes. There are many indigenous people and others living all around the world who live 100% of their lives barefoot. In addition, many wandering savannas and rain forest dwellers have no protection or support of shoes and still have a robust and healthy foot. Also, you really need to add to the fact that people who do not wear shoes have very less foot problems too. Right from the fat pads to the heels, the human foot has simply adapted in many ways which are very much different from our ancestors. You might be surprised to know that the traits involved in grasping our feet have long gone and now remains is the best adaptive and specialized information related to what our feet provides, and this is related to movement. Also, it is equally about the surface where we are moving. Frankly, this information even allows one to get intuitively activate and makes our muscles gets tensed for force absorption and force production. Now keep in mind that when we end up in dampening or dulling the incoming information right from our feet, we are simply outgoing the information and the place where the bones and tissues are simply at stress, increasing the required awareness. It means in other words, the more padded the foot wear is the greater we really need to compress before choosing the right and optimal recruitment pattern. Frankly, this is the best scenario for an injury getting overuse (which is in terms of volume) or the overloading of the injury (where the volume of the force is all at once). You really need to know that fact that no individual would simply play the piano concert with a garden glove. In the same manner, no one would wear heavy and rubberized boots for improving their ballet dance. Studies where subjects who were barefoot while weight lifting and ones who are running showed great results. While comparing the rates of the lower extremity injuries that barefoot runners have with the shoe runners, there is an increase in the rate of injuries to the hip or pelvis and knee. No doubt, barefoot runners still experience certain amount of injuries. The common injuries that bare foot runners go through are simply directed to the foot and they are just attributed to the abrasions, superficial cuts, blisters, etc. Even they suffer initially from fascial injuries because of the unforgiving pavements and concrete. Another point to note is that most of the foot injuries are not that much real especially while training at the gym, however, there are chances for accidents to occur like stepping on the toes, dropping weights, etc which might really ruin a good day. So, in this case, it is common sense which needs to prevail along with a good amount of hygiene and somewhat best gym manners. Here longevity is the fundamental aspect and refers to the strength and performance which is gained as well as adapted. Therefore, it means that one must remain injury free and this must be the basic aim of all trainers and even in their minds. Sometimes we take certain things for granted like improved proprioception and kinaesthetic awareness, which are big words. It is all about learning to tap into our lowest extremities and their evolution. No doubt the feedback mechanism is great, and it can easily avoid all kinds of injuries and even greatly increase the muscular strength. However, for that you need to get barefoot and begin to train. Benefits of Barefoot Training & Why It Is Best to Go Barefoot? The biggest advantage of going barefoot is that it will simply strengthen the muscles (i.e. the stabilizing muscles) which are present in the ankle and foot, making them strong. By wearing shoes, you indeed get good amount of stability and support. But it will make your foot and even the ankle lazier. 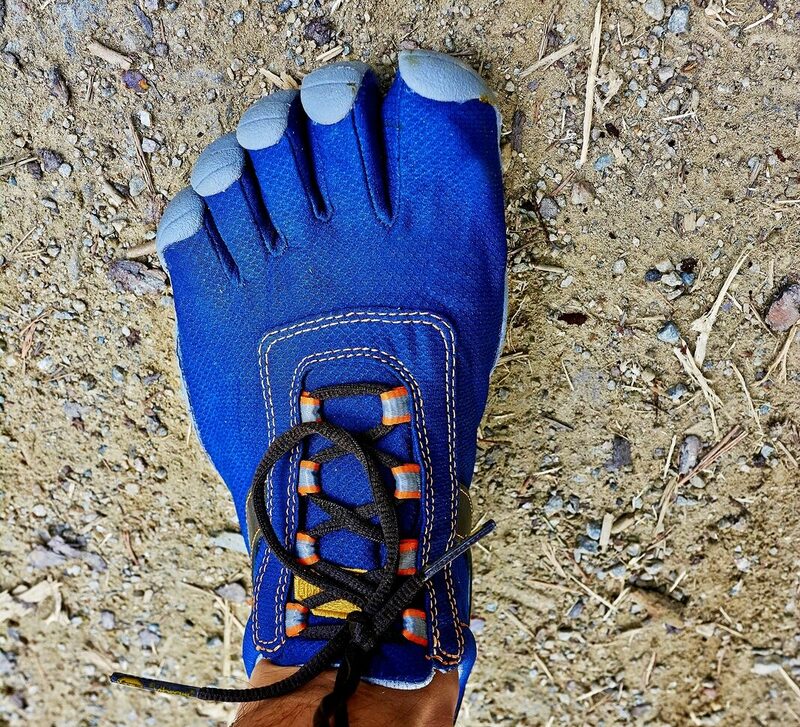 By opting for barefoot training, you can improvise your proprioception. This greatly improves one’s balance and body movement. Now the proprioception is nothing but our unconscious perception of the space and its orientation along with the movement present in the space that is around us. If we are barefoot, we can simply feel comfortable and relate to the environment, making ourselves balance with each other and develop human’s natural movements. Do you know that going barefoot will make our ankles stronger and provide more support? As per various medical research and doctors, about 30% of the joints present in the human body are present in our feet. The human feet is the base of support for the body. The back pain and knee stem come from the improper foot mechanics. The artificial support is available from the shoe which places the unnatural pressure on the knee, neck and spine. The foot mechanics can affect our entire posture. By going barefoot, you can improve your muscle alignment. Do you know that various muscles segments are used when one is barefoot compared to the ones who are in shoes and having various kinds of muscle patterns, thereby making habitually recruited and strengthening the body? Also, by going barefoot, one can improve his or her strength, especially the neuromuscular pathways of the human foot and leg. So, basically, this mould which is the muscle firing sequence will have a major impact on how we move. Barfoot provides stronger arches. By wearing shoes, it will artificially raise the arches and will directly remove the responsibility that the arch muscles have. In addition, wearing shoes will simply develop a vicious circle along with the arch support. What happens is that our arch muscles will become weaker if they are not used and when it is supported by shoes. Now you might have weak arches and you would need more amount to remove the tension temporarily. However, if you simply choose less supported or flatter shoe, then the symptoms will simply return. It would result in you needing more and more support, but the root problem would not get addressed. Now this would end up leading a life where you end up wearing shoes and having orthopaedic issues. It is important that your natural arch muscles must get developed naturally. Another important advantage of going barefoot is that you can increase and improve your flexibility and even the mobility of the foot. It will provide a much better range of motion. Also, by going barefoot, you will get a better and healthier feet overall. Do you know that shoes are the major cause of issues about foot problems? There are even chances of shoes leading to corns, bunions, hammer toes, athlete’s foot, ingrown toe nails, fallen arches, etc. Chances are that people who end up spending a huge amount of time barefoot would not experience any kind of issues and they will not even have any kind of callouses. Studies have even shown that individuals have better lifestyle before the invention of the shoes. Various researches show that by going barefoot, you can improve your Chi (Qi) and this will make your entire body strong. It is a common fact that our feet is the only part of the human body which will touch the ground. Another import factor is that it releases enormous amount of energy and forces that will get accumulated all over the body. In addition, going barefoot will allow the energy to flow smoothly all over the body. Now if the mobility and stability of the feet gets deteriorated, it will change and affect the knee, ankle and the hip positions. So, you would end up making the body prone to all kinds of injuries. Do you know that there are many older individuals who have hip issues? This would be stem them in having all kinds of weak feet. By going barefoot now will prevent issues later. There are various athletes who are trained barefoot and get tremendous results and get less injuries. There is a bonus benefit about the bare feet, which is they would not naturally stink. In addition, the sweat glands present in your feet is like the sweat glands present in your hands. Feet will get stank after it is cooped up in shoes for a long period of time. What Are the Strategies to Begin Training With Barefoot? Begin Slowly – Now keep in mind that there are certain individuals who need to get more support compared to others. So, if you have never run or trained barefoot, there can be chances that you might get soreness at the start. If you feel or experience any kind of initial soreness right from training barefoot, you need to wait until it goes away just before you are trying to train barefoot. HIIT – This is one of the best methods to start training barefoot and doing weight exercises. You need to practice first without wearing any shoes, and that too for few minutes each day. So, if you are feeling uncomfortable then you need to train for few minutes, couple of times each week and then you can slowly increase the time you spend barefoot. You have another alternative which is doing warm up or doing period of yoga barefoot. Vibram Five Finger – Have you tried the Vibram five-finger or another soft shoes, it will simply simulate the feeling of being barefoot. You can start first with a flat and cushioned surface like cushioned floor or the thick dense carpet. Sometimes you might be having a safe grassy spot which is right outside, then you might feel confident as it might be free from little rocks or even glasses. So, this can be an ideal place to do exercise. Avoid Getting Discourage – Sometimes it might take a longer time to get adjusted to the barefoot training. You should not get discouraged as it is really a slow process and you must really have trust on the exercise you are doing. Keep in mind that you are doing exercise which is barefoot training to make your body strong and slowly the changes will take time and happen immediately. Barefoot training is great to do. You can make yourself comfortable in doing barefoot as it is something that you do in your naked feet, making you closer to the earth and getting the magnetic energy and force. This will really help in making your muscles stronger and great, thereby improving your physical strength. A combination of shoes and barefoot is the way to go as we use both of them in our daily lives.